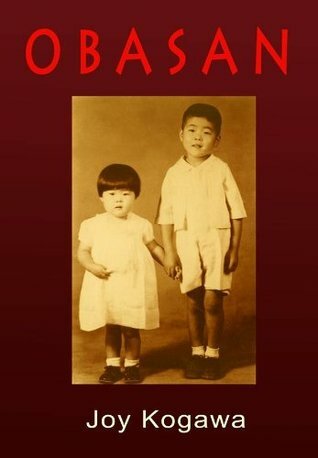 As I have already talked about in my post about Joy Kogawa, Obasan is a novel she wrote based on her experiences as a young Japanese-Canadian girl during the time of the Second World War. Obasan has become required reading in our schools and has been quoted on Parliament Hill. Why it has taken me so long to finally read this book, I don’t know. 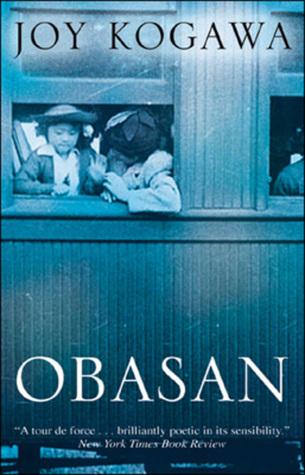 But, even though I knew about the racism and evacuations that took place, I still learned so much from this novel, and Obasan puts meaning and emotion into Canadian history. Obasan starts in 1972, when Naomi is a 36-year-old teacher in Cecil, Alberta. Her Uncle has just died, and she returns home to be with her Aunt (Obasan). While she is there, she finds a package sent by her Aunt Emily from Toronto, which has letters, journals, and articles, documenting the Japanese-Canadian evacuation from British Columbia during WWII. At the age of 6, Naomi remembers her mother going away and never coming back; the rest of her family is forced to leave their home and become separated along the way. At first, they believe it is only temporary, that they will be going home again after the war. 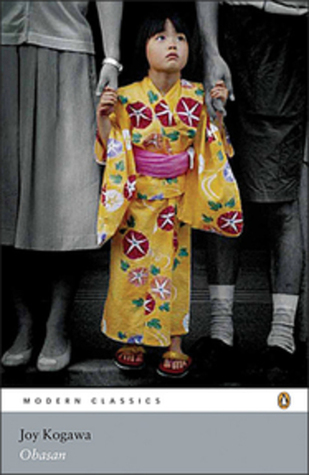 But, prejudice and fear continue long past the end of the war, and the Japanese families are not allowed back to BC. Instead, most of them are spread across the prairies. Naomi’s family, which now consists only of her brother and her Aunt and Uncle, end up on a farm outside of Lethbridge, Alberta. They live in a one room shed on the edge of the farm where they labour in the sugar beet fields. The hardship is so pervasive, so inescapable, so thorough it’s a noose around my chest and I cannot move anymore. All the oil in my joints has drained out and I have been invaded by dust and grit from the fields and mud is in my bane marrow. I can’t move anymore. My fingernails are black from scratching the scorching day and there is no escape. Chapter 29 (page 193-199) tells about the hardships and hopelessness Naomi’s family faces on the beet farm in Alberta. If you only read one chapter in this book, it should be this one. In 1951, they are finally able to move into their own house in Granton, Alberta. Now, in 1972, Naomi reads Aunt Emily’s diary entries and articles that she finds in the package. She thinks back on all the years, and starts to question what happened. Like threads of old spider webs, still sticky and hovering, the past waits for us to submit, or depart. When I least expect it, a memory comes skittering out of the dark, spinning and netting the air, ready to snap me up and ensnare me in old and complex puzzles. My own copy of Obasan. The way the Japanese-Canadians were treated makes me cringe with embarrassment. If I didn’t know it to be true, I would find it hard to believe. 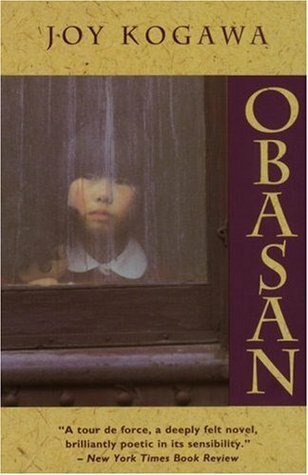 Obasan is a story about oppression, fear, hardship, injustice, grief, but mostly about family and belonging and hope. The Japanese-Canadians believed in the Democracy of Canada, even after it failed them, they had hope. They relied on their families, even after they had been separated. They hoped to return to their homes and be reunited. Where do any of us come from in this cold country? Oh, Canada, whether it is admitted or not, we come from you we come from you. From the same soil, the slugs and slime and bogs and twigs and roots. We come from the country that plucks its people out like weeds and flings them into the roadside. We grow in ditches and sloughs, untended and spindly. We erupt in the valleys and mountainsides, in small towns and back alleys, sprouting upside-down on the prairies, our hair wild as spiders’ legs, our feet rooted nowhere. We grow where we are not seen, we flourish where we are not heard, the thick undergrowth of an unlikely planting. Where do we come from Obasan? We come from cemeteries full of skeletons with wild roses in their grinning teeth. We come from our untold tales that wait for their telling. We come from Canada, this land that is like every land, filled with the wise, the fearful, the compassionate, the corrupt. I think the greatest value this book may have is to spread the word of what happened in the past, so as to prevent it from ever happening again in the future. A book everyone should read. Apology to Japanese-Canadians; September 22, 1988 on Parliament Hill by Brian Mulroney. Our history – Concentration Camps in Canada A bumpy road to getting the vote. 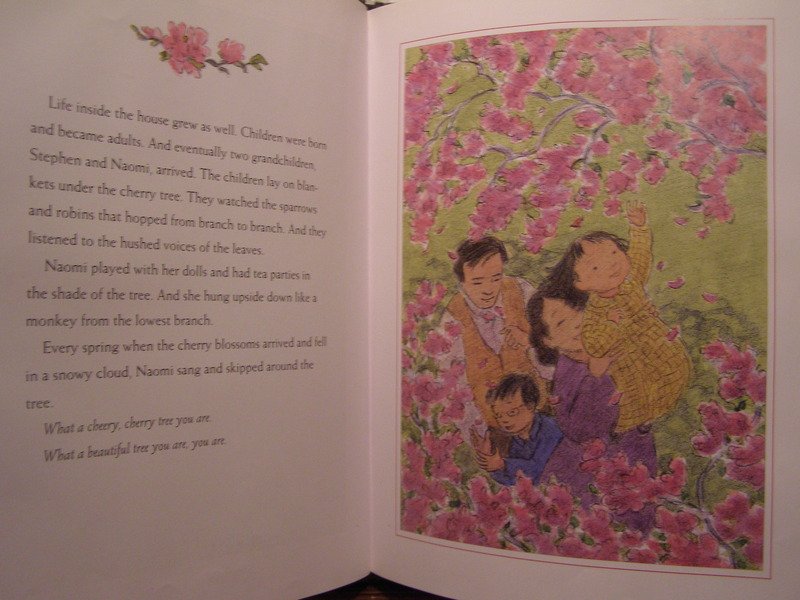 Naomi’s Tree is a beautifully illustrated children’s book about a girl who loves a tree, and the tree who loves her back. It takes place during the Second World War, when the Japanese Canadians are sent away, and the tree waits a long time for the girl to return. The story is told gently and lovingly. And, it will make you cry. P.S. 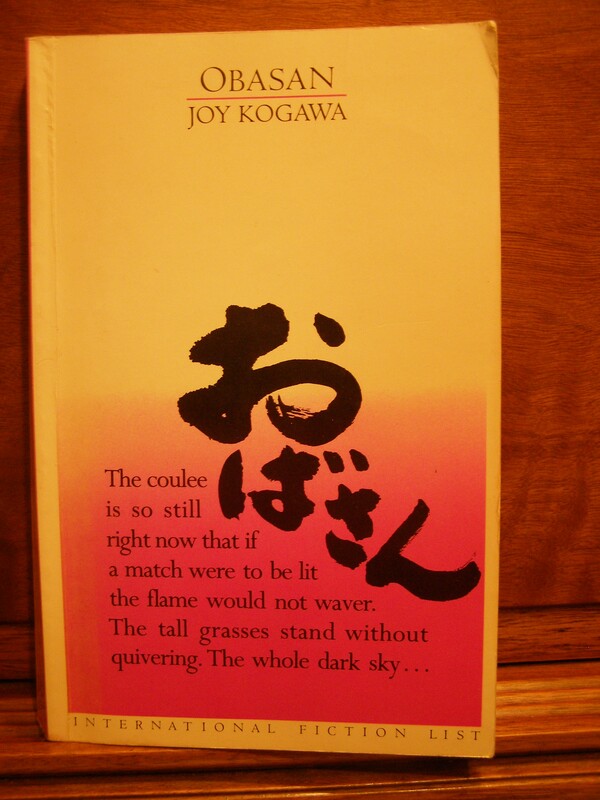 I can’t pretend not to have loved reading my name in this book, and in Obasan. My name has never looked so nice as it does on the front of this book. I put this book on my TBR pile when you first announced that it would be your “K” book. I’m glad that you liked it, and I want to read it even more now. Even though Japanese-Americans were put into camps, it never occurred to me that it might have been similar for Japanese-Canadians. I am sorry to say that Canada seems to have behaved terribly. I didn’t realize how bad it was until I read this book. Have you read any American versions of this story? I read Jamie Ford’s Hotel on the Corner of Bitter and Sweet, which deals with the subject of US internment camps. It is very well written and very touching. Oh, I have that one, but keep forgetting about it. Thanks for reminding me! Such a gorgeous, harrowing read. Great review highlighting some of the book’s best passages. The sequel (Itsuka) is just as gripping and important. You might want to read it too (once your TBR list gets a little smaller… if such a thing ever happens 😉 ). Have a good day, Naomi! 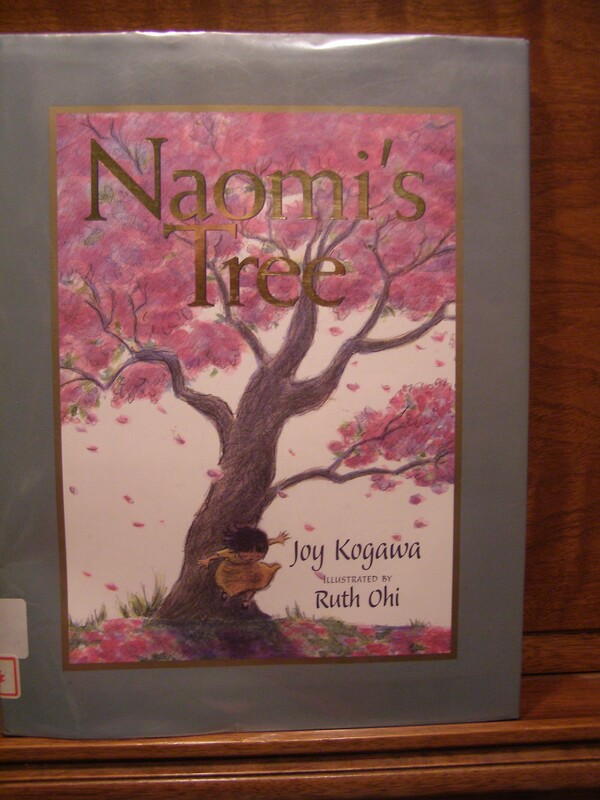 Wow, such an amazing Canadian story and Naomi’s Tree sounds so sweet. I really want to read both books now. So depressing to think of how people have treated each other in the past. It makes me cringe and cry too. I agree, sounds as if Obasan is definitely a book everyone should read. I’m making a note of it now so I can buy it when I lift my book buying ban. I enjoy books that teach me about race and ignorance, they’re necessary for growth. You should like this one, then! It’s probably at your library, just sitting on the shelf! It is a good one to own and lend out, though.